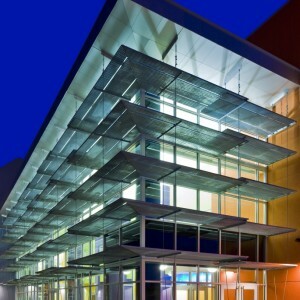 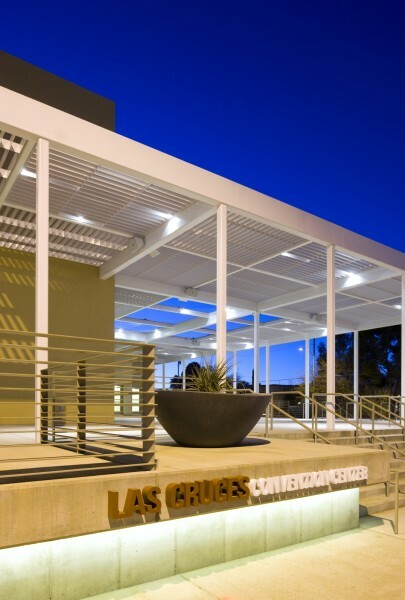 This LEED Gold certified Convention Center is a 55,000 square foot building on a 10 acre site with just over 30,000 square feet of meeting space. 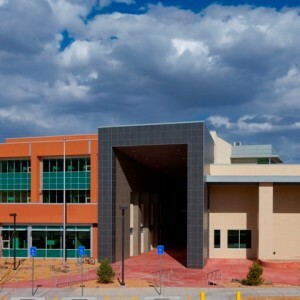 The facility is located on the New Mexico State University campus with close proximity to restaurants, entertainment, shopping, hotel rooms and the Interstate. 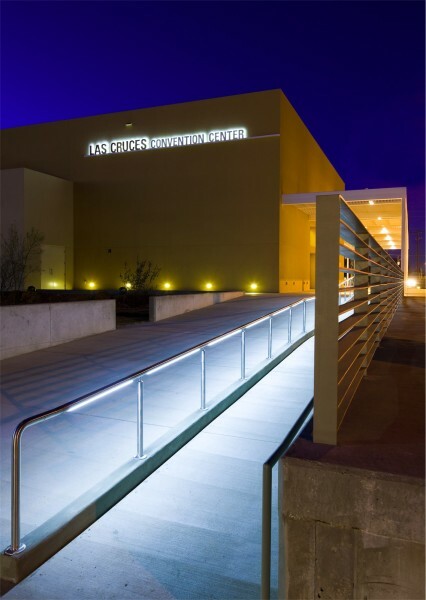 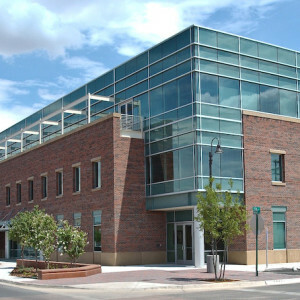 It provided the City of Las Cruces, NMSU and surrounding areas with convention space that has been lacking for some time. 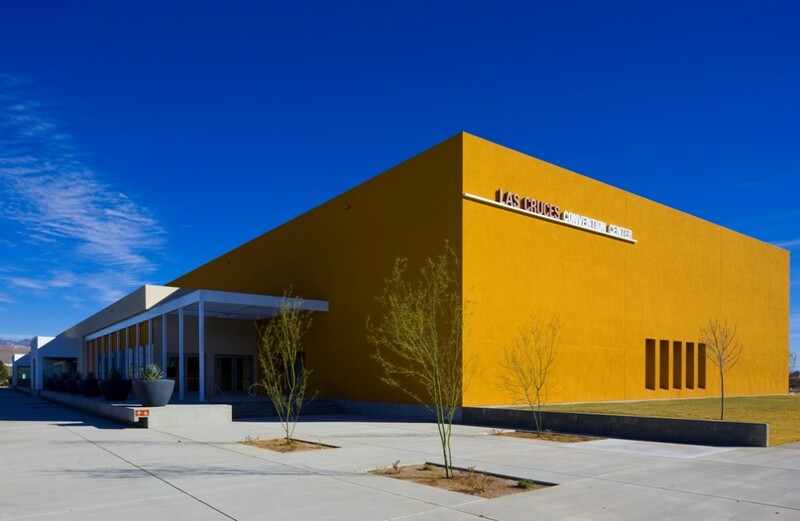 The facility features a 14,500 square foot exhibition hall, a nearly 9,000 square foot ballroom and a full kitchen. 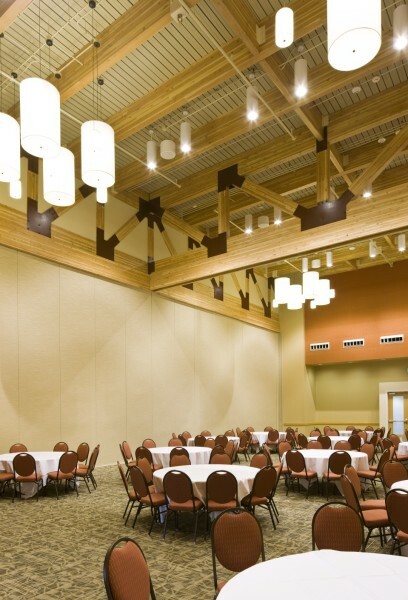 There are also multiple meeting rooms and sizable pre-function space. 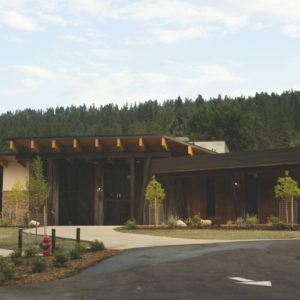 The building has a sophisticated sound system and lighting system, including dimming capabilities for the meeting rooms, exhibit hall and ballroom. Additionally, the sound system provides sound in the pre-function space, the outdoor east terrace and the landscape plaza for outdoor activities. 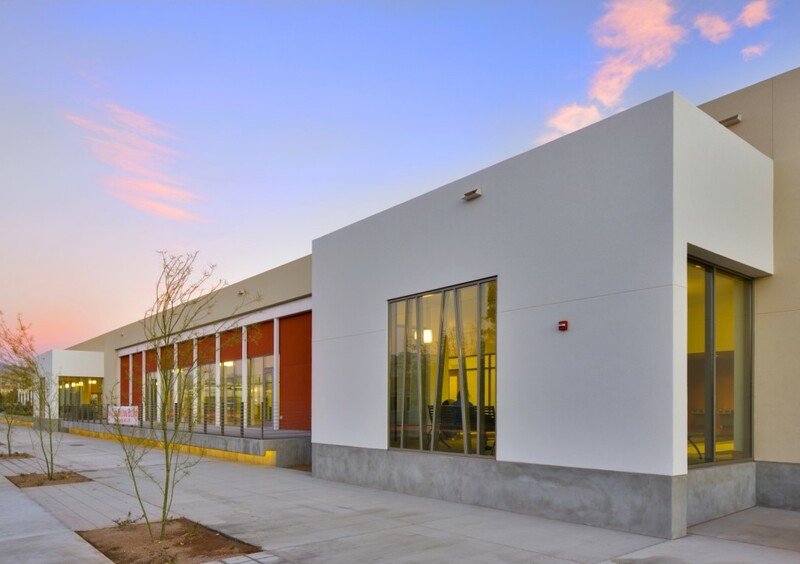 There are 350 paved parking spaces and over 100 spaces of overflow parking with easy access to the building, a loading dock and drive-up ramp for truck access, a bus loop, 54 bike racks, and a cactus garden.